1280x1024 wallpaper from a 1928 photo of the Hell Mouth Bridge in New York City. 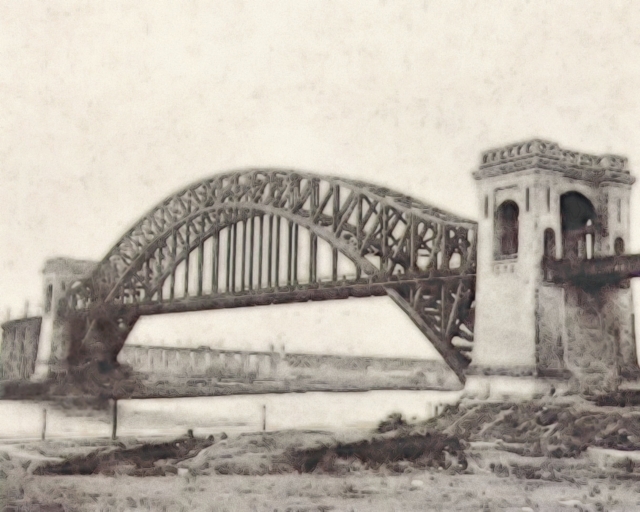 It was posted in a story for Halloween about haunted places and I thought it was about the spookiest looking bridge I'd ever seen, so I enlarged the image and tweaked it to enhance the creepiness. The full-sized image looks better than the preview. This is a gorgeous WP. Looks very cool. It's going into my rotation..nice! I thought it was the sydney harbour bridge.